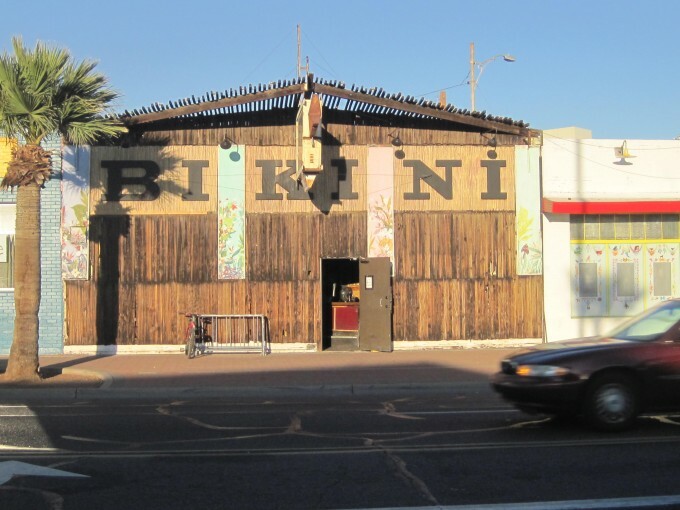 Category: Bikini Lounge, Phoenix, Az. 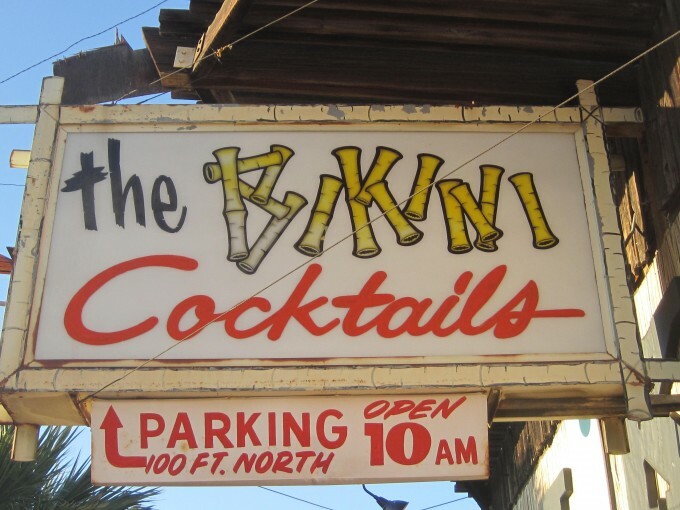 Probably the only island dive bar in Phx. 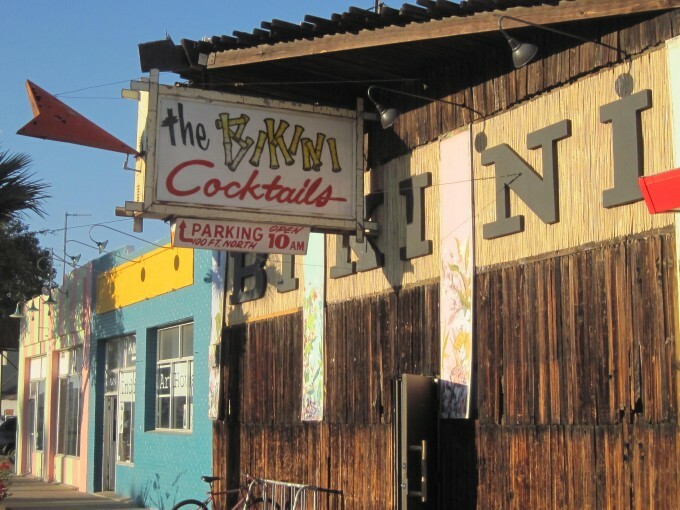 Your animal instincts may come to life. 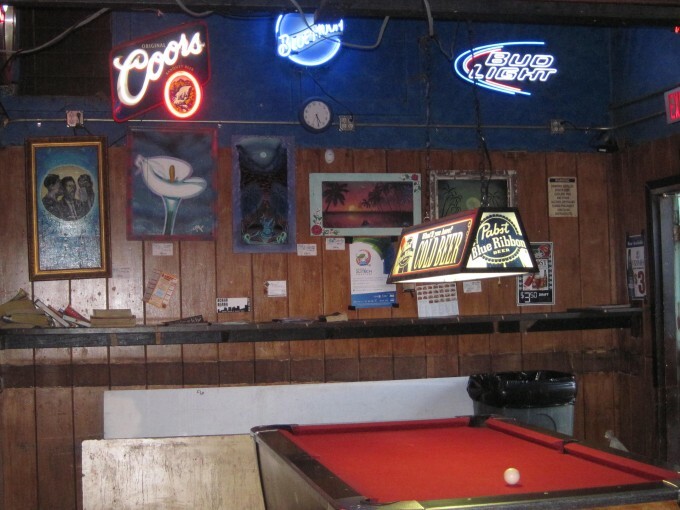 No dive bar would be complete without a pool table. 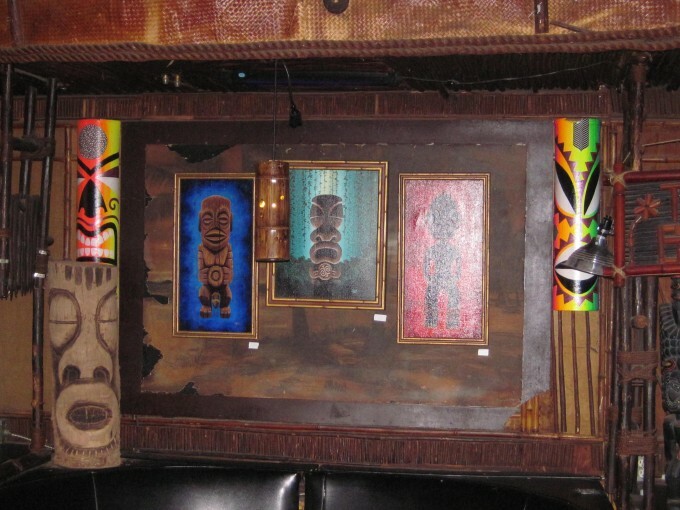 Island art displayed that is for sale. 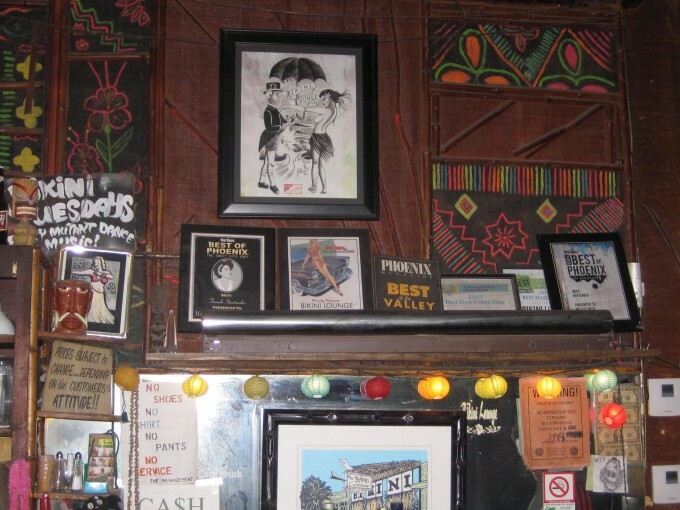 I don’t think you go to a dive bar looking to purchase art, lol. 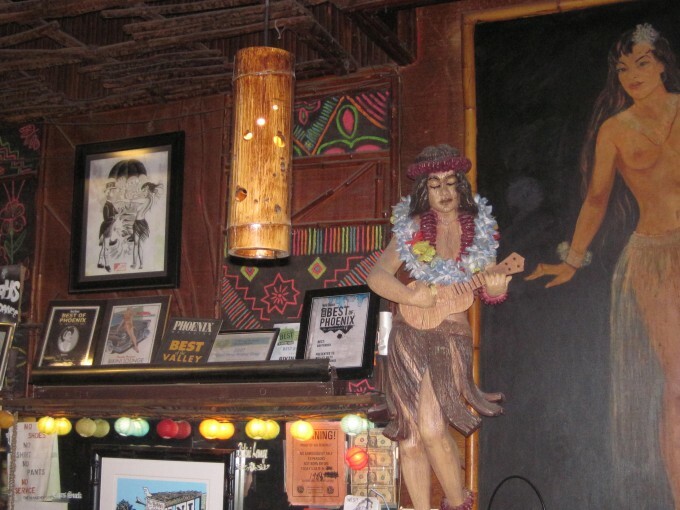 Nostalgic items and Best of Phoenix awards displayed. 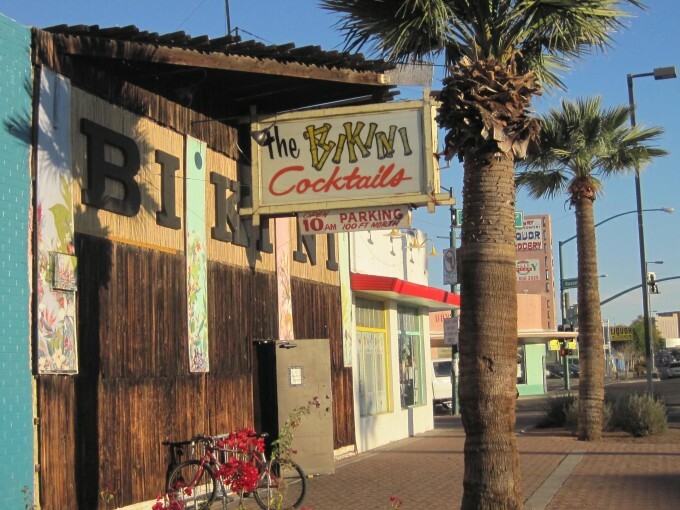 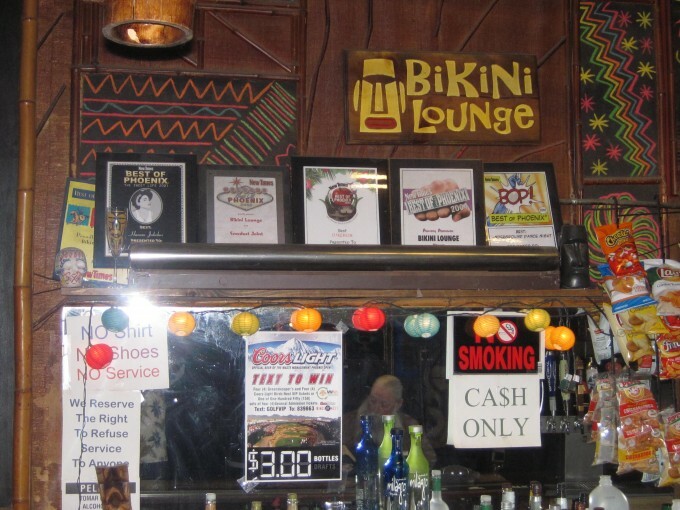 There were numerous Best of Phoenix Dive Bar awards displayed.